In works, he dedicated to Emperors Michael Doukas and Nikephoros Botaneiates, one legal the other historical, Attaleiates emerges as a political thinker who respects emperors dedicated to the people. In turn, the people, as presented by the judge, are a far cry from the mindless rabble we see in the work of other historians. They are active political agents with a mind of their own and a stake in Romanía’s politics. 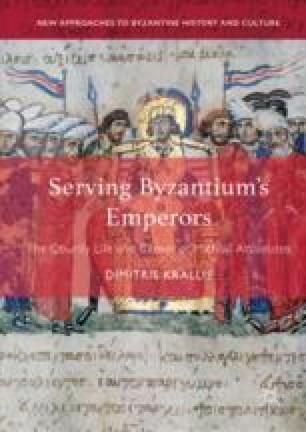 In recent years, scholars have studied this peculiar form of Byzantine republicanism as an integral aspect of Byzantine politics. With Attaleiates, a focus on popular political agency is both an aspect of Byzantine political ideology and an expression of a politics of self-interest that satisfied his quest for prominence in the Constantinopolitan political scene.